Ratings are averaged based on 20 reviews. My husband and I had a wonderful stay. The service was wonderful. All the staff were helpful and friendly. Room was spotless everyday. Pool was fab. We could not believe the room sizes and pool area. Exceeded our expectations for value. We also received the same welcome at all the affiliate hotels and dining. All staff were gracious and could not do enough to make us happy. Downtown Villas are located just off Jalan Raya Legian but they are a quiet oasis away from the hustle, traffic and noise. Staff cannot do enough to make your stay enjoyable and the complimentary buggy is a great. Breakfast is superb with a large range of options available. We would thoroughly recommend a stay at Downtown Villas for anyone wanting a modern, private, fully serviced base in Seminyak. We thought the location was perfect, the villa itself was a little run down but the pool was absolutely amazing, we would stay there again, the staff were friendly and so lovely. The villa offers private accommodation for time away from the hustle and bustle. 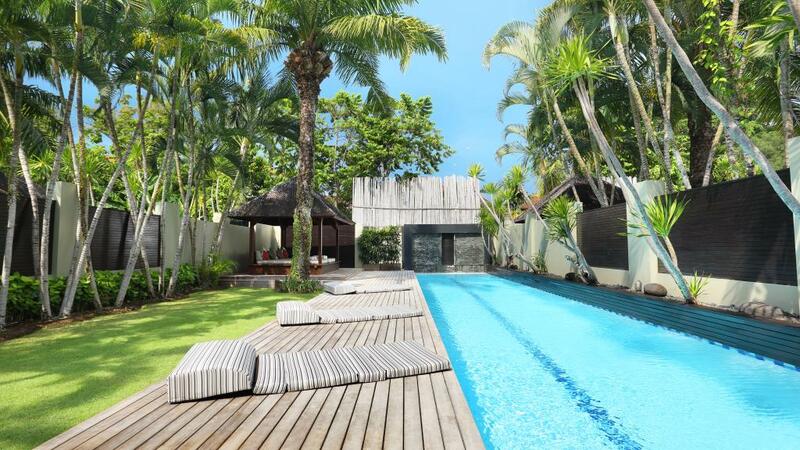 Downtown Villas is an incredible place to stay in Seminyak. Immaculate and so well equipped. Staff were amazing, friendly and looked after us so well. Will be going back for sure! We thoroughly enjoyed our 5 night stay in a 1 bedroom villa at Downtown Villas. The villa was modern and spacious and very clean with a nice plunge pool and outdoor area. A big thank you to all staff who were very friendly and helpful. The location was very handy to restaurants and shops yet very quiet as it was set back from the main street of Seminyak. The shuttle service to Breezes (sister resort), was a great service. We enjoyed having some meals in our villa as well as eating at the restaurant at Breezes Resort. We would be happy to stay at Downtown Villas again should we ever return to Seminyak. We had a lovely stay at Downtown Villas. The Villa was clean, modern and spacious with a fantastic outdoor area and large lap pool. Staff were professional and very helpful - we recommended to some friends who have already booked. Downtown Villas - Absolutely fabulous. Service is 10 out of 10, staff continuously go out of their way to make your stay unforgettable. Would definitely go back and stay here again. With complimentary drinks on arrival our stay started off with a great beginning. The staff and service was excellent! Our room was cleaned and beds made each day. Great location, close to the beach and many restaurants. The location of Downtown villas was perfect. Hidden down a small lane way, but literally only 3 minute walk to the Bintang Supermarket. The villa was well set out and the pool was excellent for our children whom could swim all day and stay out of the sun if they wanted too. A few extra choices for children on the menu would have been good, but they survived. The staff were always friendly and helpful at any requests made.